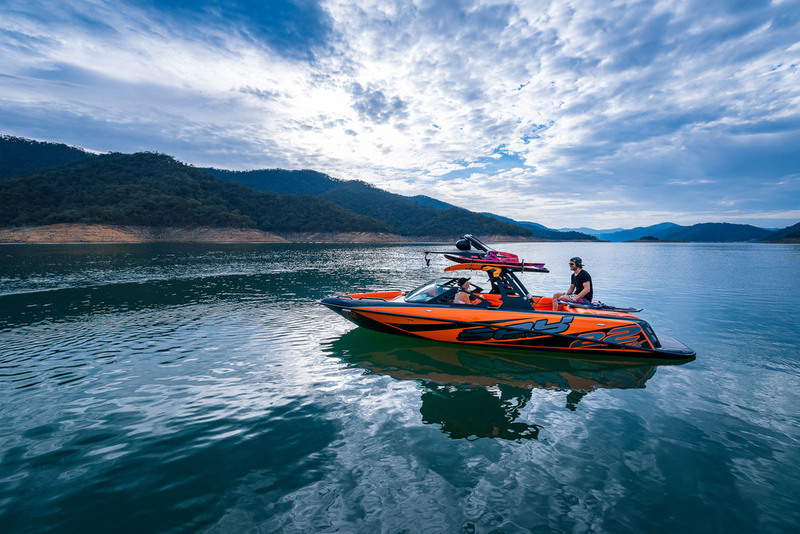 The Spy RX22 was victorious over Australian and Imported boats to win the prestigious AMIF ski Boat of the Year award. 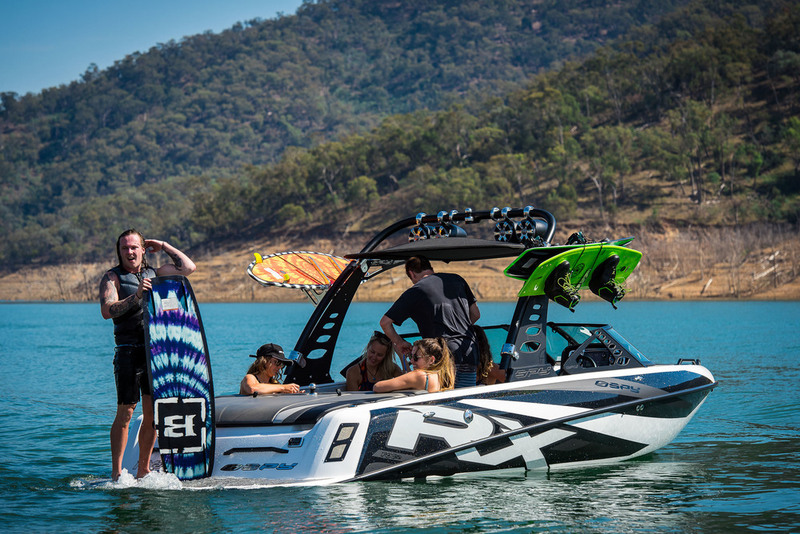 The Spy RX22 achieves what no other rear mount can do, it creates a competition slalom wake, great barefoot wake, world class wakeboard wake, huge wakesurf wake and a super soft ride all in the one boats. 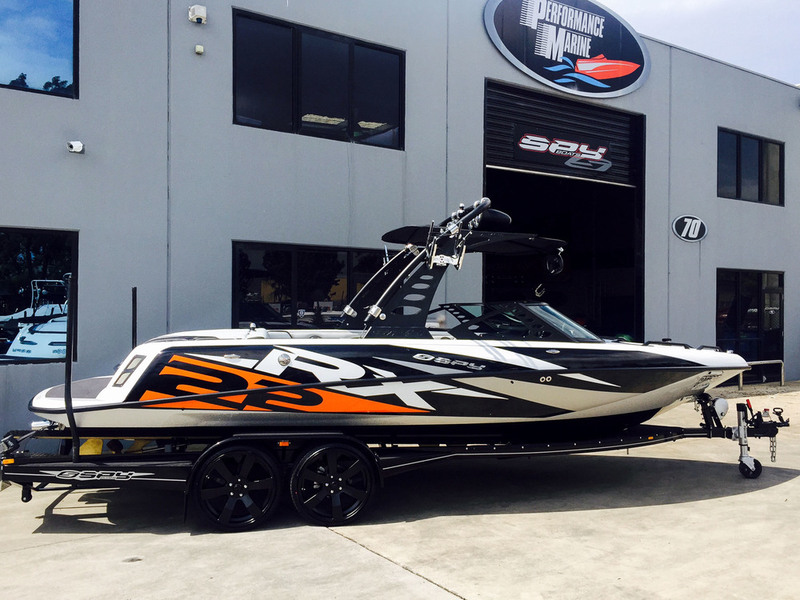 Spy Boats are the only Australian designed and built skiboats that are fully CAD designed and because of this the RX22’s build and construction give a fantastic performance and fuel consumption. The RX22 ergonomically designed interior makes it a true leader in its field, with it premium quality fittings and huge option list you can custom build your RX22 into a perfect boat for your family. Please take a drive, ski foot, wakeboard or surf with the Spy RX22 and you will soon know why it’s a winner.